Thousands of claims are made for asylum, but not all will meet the criteria which defines an actual refugee. A white South African family has seen their refugee claim in Canada denied. Eric and Sonia Endre were farmers in South Africa and had been visiting relatives in Canada in April 2016 accompanied by their two children, and two grandparents. Ten days later they made a refugee claim in which they referenced a number of violent thefts and threatening incidents in their home country. Their claim was based on allegations that because they were white, they were being targetted by the black majority. 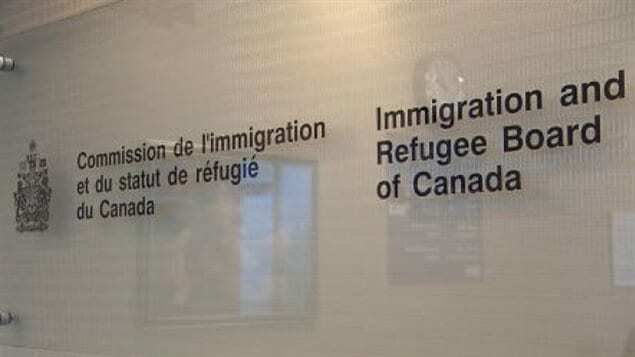 That claim was denied by Canada’s Immigration and Refugee Board (IRB) which ruled that race was not an issue and it seemed likely they were chosen randomly and the thefts and attempts to steal were motivated by economic conditions and not race. The Endres appealed to the Federal Court saying the IRB failed to consider danger to their children. That appeal was rejected, as have all claims from S Africa this year. A similar 2008 case in which asylum was initially granted to Brandon Huntley, sparked a strong diplomatic reaction from the South African government which threatened worsening relations between the countries if the decision stood. As a result the IRB was ordered to review its decision which was reversed. “South Africans are now persecuting a segment of white South Africans because you’re almost embarrassed to say it, for fear that you get labelled a racist because of the ugly history of apartheid which everyone was against. But the reality is the reality. Poor whites are targeted because of race and the law of refugee status in Canada should be applied to them, no different from any other persecuted race in any other country without regard to the political correctness.” Rocco Gilati, lawyer involved in the unsuccessful refugee claim by white South African Brandon Huntley. Statistics show the whites still earn several times more on average than blacks in South Afirca but in a country where a history of racism and poverty are so deeply intertwined, it is often difficult to determine whether a crime is racially or economically motivated, or what percentage of either may play a role in the high crime rate and overall insecurity. Whites make up only about 9% of the population in the otherwise vastly majority black nation. They should put on niqabs, trudope would be all over the media welcoming them to Canada, it’s a sorry shame on our country! If the government of Canada does not take their flight serious then our government will be failing those in real need. I know first hand what is happening in Africa and so does the government. But. Government is full of selfish ingrates. When this family gets killed the blood will be on our Governments hands. I can tell you that we left South Africa because of violence targeting white South Africans. White farmers are being attacked and killed, under the cover of it being a robbery. If it is just a robbery , why are people viscously abused before being killed. I am sorry but I am very disappointed in the Canadian government not helping farmers immigrate into Canada. These are hard working people that are being targeted and killed. And it is very sad to say that the government that we once voted for, to get change in South Africa to the democracy of today are not doing anything to help. Zimbabwe style land grabs have begun in South Africa, a family in Dannhuaser kwazulu Natal where invaded by a mob of 300 land invaders armed with sticks, pangas and knobkerries, their son saw the mob coming and was able to get to the family in time and they watched from a distance as their home was ransacked and everything stolen including all their livestock, an ANC councillior gave the order for the land invasion and the police refused to help them – there are land invasions happening across the country. This is a very crucial matter. I don’t think that much to say about Canada. So attacks on white farmers isn’t racial. What planet is the IRB on? The racialism from the SA govt is on display for all to see but the Canadian govt reveals itself to be anti-white and only wants 3d worlders to touch Canadian soil. It will probably blame the wholesale murder of white South Africans as their own fault. I guess Trudeau’s tweet, “Welcome to Canada is only for specific groups. Why are we all not screaming mad about this? Watch this video & tell me you’re okay with not offering these people refuge! I haven’t verified this, but I have been told that Australia has been accepting white South Africans. They are accepting them! So is Russia. Yes, how could it be racist when the South African government has passed a law allowing from White farmland (but not black land) to be confiscated without compensation, and that 70,000 White farmers have been murdered – children as well. There are none so blind that they will not see, and for your one authority I can give you a dozen who have witnessed the carnage. Our government is failing these people from South Africa and I as a Canadian know about many of the tragedies they endure. I worked for white Doctors from South Africa and they shared many stories of what is going on there. I worked 4 years for 1 Doctor and we had 4 South African Doctors in our small community and I never found them to be racist in any shape or form. They were very humble good people. And people stupidly wonder why Trump won. This is a travesty that is uncomfortable to Canadians. Why is this Liberal Government allowing Illegals to walk across a border, but won’t rule in favor for the White South Africans. The new Government of South Africa has been threatening to take back all the farms of the Whites with no reimbursement.This has allowed the Blacks to attack and plunder the farms, many people have died for no reason other than being White. Shame on Justin Trudeau his agenda doesn’t include any White Christians no matter the genocide going on. These White South Africans are well educated speak English, have financial strengths, well educated and are experienced farmers, this is all pluses to Canada but our PM continues to ignore any assistance as you can see by the rejection to this South African Family. I do not feel very Proud to be a Canadian under this PM, our turn comes October 21, 2019. It’s not uncomfortable to Canadians. The only Canadians who seem to have an issue with it is our Liberal gov’t. I have yet to have a discussion with anyone in Canada, white or black, that has any issue with us offering refuge to these people who are in such dire need of our help. Don’t even think about Canada… go to the Mexican Consulate in (probably) Capetown and show your financial ability to sustain yourself and family in Mexico… get a Permanente approval and move here… there is no welfare… you must be self-sufficient. You can work with a Permanente but you can’t take a Mexican’s job… that’s it. Ajijic, Jalisco awaits your arrival. How can these people be any more self sustaining when they first arrive, as the next person who is from a war torn country? Many of them have had literally everything taken from them & are living in camps – many without electricity or decent food. Watched this a while ago. Makes me sick to think that we welcome people with strange, dangerous affiliate ties to known organizations, which I can’t say here, or my comment will be deleted. So based on only 9% whites in South Africa they are clearly the minority and should be allowed to leave if they fear for there lives. Skin colour should not matter! If when they return they find that there is nothing to return to and all possessions including land have been taken over then where do they stand ? How about Canada putting the content of the Commonwealth Charter on the table and recognising the position of this family as the first line of my comment could well be fact. Let’s face it, when the Prime Minister can allow a terrorist to come in and give him a small fortune surely these folk deserve better. Parroting and copying Barbra Specter is a tad lame. She said that about Europe. Anyone who can claim that Canada is not multicultural is a plain ignorant. We’re angry, sick of our governments turning a blind eye to your suffering, R.
What a gross type of result? …. by someone truly of needy refugee status! Typical for people that only care for themselves ala German origin Trump. It may be a harsh verdict but I’ve had previous experience with Canadian Immigration (especially at the Canadian Consulate in PRETORIA!) There I had to apply for a transit visa for my foreign wife to spend 6 hours in Vancouver to join a Norwegian Cruiseliner to a 7-day Alaska cruise. It was flatly denied and what is more that consular ossifer messed up my wife’s passport by scribbeling some illegal and destructive remark into that passport (which had to be re-done at great expense as it was rendered useless , if not invalid.) Canada does not seem to have anchored in their constitution the assumption of not guilty before judgement. They didn’t know my wife from a bar of soap, had no record, good or bad or at all. I was allowed to transit Vancouver (gracefully) to join that ship, but it was necessary for me to arrange flights for my wife from LA to Juneau in order for her to join me on that cruise without touching Royal Canadian ground. Coming back to these POOR South African refugees, denied their refugee status: why don’t they go to the Black Forest in Germany, Angie Merkel welcomes everybody there, especially folks that know about forestry and farming. Germany/EU are not denying refugee status to anybody NEEDY ….. oh and we know all about that population in the Mediterranean Sea, so much they are losing control and lives with that ….. all they want is that you work (like everybody else) and pull finger! Can’t anyone start a petition to help these poor farmers in SA from being slaughtered? No human should have to put up with percecution .. I worked with a fellow from South Africa for a couple years he had in SA a gardener and a house hand who were both Black they were his employees, he was not a rich man just a working class man that could afford to help other families in his area. He got out before any of this started happening and came to Canada where he became a working class man as well, the only people who lost out of that deal were the people who worked for him cause after he was gone they probably ended up not having employment, I think everyone should look around at the big picture and see what is going on on this planet, this one against that one women againt men religion against religion I don’t care what color you are sooner or later this is all going to explode and the only people who are going to gain are the same ones who have always gained from conflict and that is not common people like you or me it is the people trying to force an agenda on common people who live in peace together when they are not being poked and prodded by the powers who do not like to show their identities for everyone to see rather use pawns in their game. You hit the nail on the head Jason. once again the liberal government has buried their heads in the sand. The leadership of South Africa has openly stated they will seize property from white owners with zero compensation. Pure racism at it’s finest. Canada did the right thing. White South African people should not be complaining due to the fact that most South Africans in the past did very little to stop the apartheid. There are still white south African people teaching the younger generation that black people are primitive – ape -like and inferior and not allowing black people to rent accommodation or buy houses in majority white areas within South Africa. Although many black people are in politic the economic circumstances for ordinary black south Africa is not secure. There is much unemployment. White people are opening up companies within South Africa and giving the majority f jobs to white people. The white people are selling homes to white people, I have heard of cases in which white hotel- guest house owners refuse black people. There are a lot of white owned companies that focus an underground white-only police still in South Africa. I have white South African English people in my Family and know many of the white south Africapeople can be very nice. I want black and white people to be living together without the worry of being discriminated against, tortured and killed. The only way to solve the problems in South Africa is if every south African person stops trying to have automatic entitlement to the country. They need to acknowledge what happened in the past and admit to the discrimination against black people . however much improved, to the black people today. The white South Africans , in my opinion, should stop demanding so much as the land does not belong to most White South Africans. White European people destroyed their right when they colonized 54 countries within Africa according to my research. They divided and conquered the land and stole much of its natural resources to build up the west. So according to you white South Africans today who had nothing to do with apartheid deserve to be raped and murdered by the 90% black population because of what their fathers and grandfathers did? 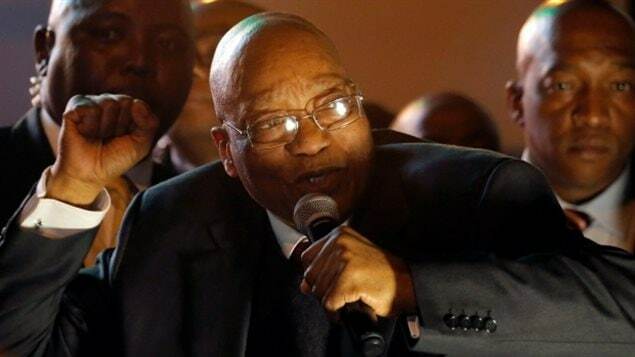 Young children on South African farms are being raped and murdered in an ethnic cleansing – these aren’t crimes of economics because they are often leaving expensive things behind, the president of SA has called upon blacks to murder whites and other foreigners (other blacks that aren’t native to SA) – South Africas poor economy is due to its socailist policies of today, the economy and living standards today for blacks and whites in SA are worse than during apartheid due to poor management of the government. It’s sad that Canada and America are so biased toward black oppression that they can’t see oppression of whites in SA – don’t punish the son for the sins of the father – too bad people don’t read their bible anymore. You need to learn the real state of affairs in South Africa nad stop beleiving lies perpetuated by white controlled Media. Im a Black and South African. 95% of youbstatistics above are untrue. Land dispossession informed the formation of the ANC in 1912……look at apartheid and british colonial laws under land and property. The land reform policy of 1994 and the failed willing buyer willing seller policy….and looknat the stats of land ownership by race in 2018. The proposed land expropriation is correct. Blacks cant comtinue recycling poverty in their mother land and while whites recycle wealth to generations. Is that Social justice? The fact that you are a black south african is proof enough that you are a liar. Everyone knows that black south africans are in favour of farm attacks against white owned farms and in favour of a genocide against whites. There is video evidence of your leaders singing and dancing about killing whites. The frequent social media posts from black south africans encouraging genocide. Tons of news paper articles about the discrimination whites in SA face. Your government is arming farm attackers with police and military issue weapons and equipment. Several arrested farm attackers where even police officers. Where people can not get a job or a home !! Whites are at the back of the que IS THAT FAIR ?IS THE RIGHT ? I can’t believe the Canadian immigration government denied this family a place for a safer living. They were clearly targeted. haven’t they been reading the news that si coming out of South Africa? women are being raped beaten in front of their children, men can’t find employment, and government are not doing anything about it. It is obvious about RACE!!! Hope this family cross the border and come to the United States- I believe they will have better chance at asylum here. We have a Somali immigration minister who acknowledged Somali’s independence day but not Canada’s 151st birthday, and a globalist prime minister who hates Whites. We can’t believe he’s not accepting White South Africans either. wow. i can only hope enough people can wake up before that happens. i don’t want anyone deciding my races fate or anyone else. especially those that are well known to be duplicitous. hunger game dystopia is where we are headed. The Canadian government is clearly run by europhobes that get some type of sick twisted pleasure out of watching women and children suffer. This is awful!! Whites farmers are being targeted in South Africa solely because of their race. If any people are refugees, this family is! shameful. this government will jump on unequal employment by race and gender as a definite proof of discrimination, but when a party founded by a terrorist opposed to white rule encourages crime against people based on their race, and that crime indeed occurs? no correlation. Never mind that the ANC and EFF have both been ramping up their rhetoric against the white farmers for populist appeal and pushing for mass land seizures, this government can’t find it in themselves to identify and potential discrimination here.